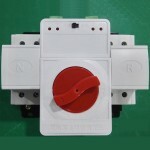 A rotary switch is a device which is operated by rotation. These are often chosen when more than 2 positions are needed. These rotary switches consists of a spindle/rotor that has a contact arm which projects from its surface like a cam. It has an array of terminals, arranged in a circle around the rotor, each of which serves as a contact for the “spoke” through which any one of a number of different electrical circuits can be connected to the rotor. The switch is layered to allow the use of multiple poles, each layer is equivalent to one pole. 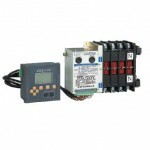 Rotary switches can be used as transfer switches. A transfer switch reconnects electric power-source from its primary source to a standby source (i.e. generator / UPS). 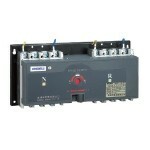 Isolation switches electrically isolate a circuit from mains power.